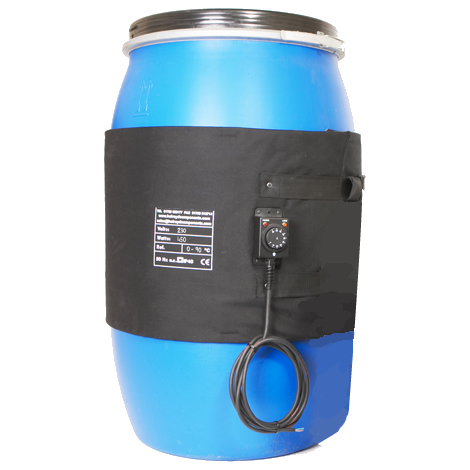 This particular heating jacket is suitable for a standard 100 litre capacity drum/ container. The heating jacket (100l) is manufactured from lightweight but resilient materials and fitted with adjustable quick release buckles for ease of installation and removal. 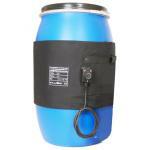 Temperature is regulated via a built-in thermostat up to a maximum of 90°C for plastic drums. Jackets with higher power ratings and 0-120°C thermostat can be manufactured for use with metal drums. The heating jacket (100l) is manufactured from lightweight but resilient materials and fitted with adjustable quick release buckles for ease of installation and removal.